Insurance is an important part of Financial Planning. 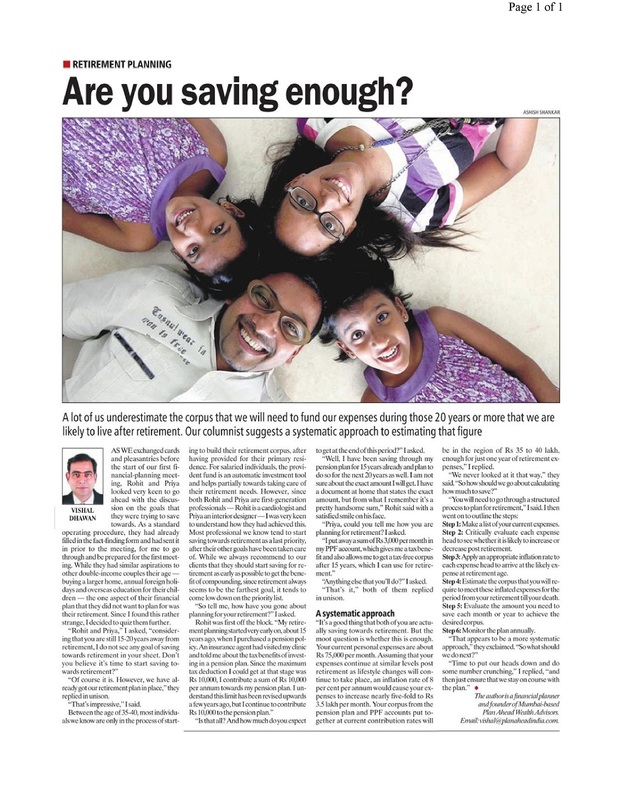 Let’s understand whether you have chosen the right life insurance policy for yourself. Term insurance is the most basic type of life insurance. It provides cover for a defined period of time. If something happens to the insured in the period in which he holds the policy then the nominee will be in receipt of the sum assured. The amount of life insurance cover that you need will be based on your income multiple. Also while deciding the amount of cover you should consider the regular expenses of your family, the ongoing liabilities, the value of important goals like child education and wedding and reduce the value of your available assets to get to the amount of cover that you will need to buy. This is a must have for all those who have dependants. If something happens to you the Sum Assured will help your family maintain the same standard of living as before. There could also be a case where you have enough wealth, at some stage in your life then you will not need life insurance cover because your wealth will be sufficient for your family to lead a decent standard of living. The other situation could be when you have saved enough for your regular expenses both retirement and post retirement or you have some regular stream of income like rental income or payouts like interest and dividends from your investments which will be sufficient to sustain your family’s expense needs. Also if that point in time you are in your 50s when your kids may start to become independent and most of you important goals like children’s education and wedding have been taken care of, in this situation also you may not need insurance cover. A term plan provides a life cover for a limited period. On the other hand a whole life policy is in force till the insured is alive. The whole life policy gives you an option to pay the premium till a certain age. On the death of the insured the Sum will be paid to the nominee. Whole life policy is mostly used for estate creation purposes. If it is bought at an early age the premiums are lower. The lower premium for the rest of your life is an advantage that you will get if you have bought your policy early. It is certainly not a good idea if you buy it closer to retirement again because premiums will be high due to age. It is designed to pay a lumpsum after a specific term either on its maturity or on death whichever is earlier. Mostly the maturities range between 10, 15 or 20 years. It is a traditional life insurance product, suitable for conservative investors but the returns are rather low. So it better to invest in a debt or an equity product for the purpose of earning returns. Money back policies generally give you a fixed percentage of your sum assured every few years. For eg you may have a twenty year money back plan which may give you 15% of your sum assured every five years and on maturity you will receive the balance amount along with bonus if any. These policies give a guaranteed sum of money on the date as mentioned in the policy document but if you sit back and calculate the returns that you may have made on your policy against the premiums that you have paid, they tend to be very low. If you would invest the same sum of money that you are paying towards your premium into any other debt or equity instrument as per your asset allocation, it will yield comparatively better returns. A Unit Linked Insurance Plan (ULIP) is product which offers you a combination of insurance cover and investment. A ULIP is a market linked product. They take money from investors and invest in a combination of stocks and bonds that you choose, and are structured like mutual funds. They have a lock in period of 5 years. ULIPs have a multiple charges that need to b analysed carefully before you decide what is to be done. ey does not get invested. The higher initial charges and lock-in makes ULIPs unattractive, along with the lack of flexibility of changing managers along the way in case of underperformance. Insurance and investments should be kept separate. Insurance should be bought for the purpose of buying a life cover. Therefore, when it comes to life insurance a term plan is ideally what you should look at. As India progresses, most of us now have a plethora of investment opportunities to choose from. The more the options the more queries one has. 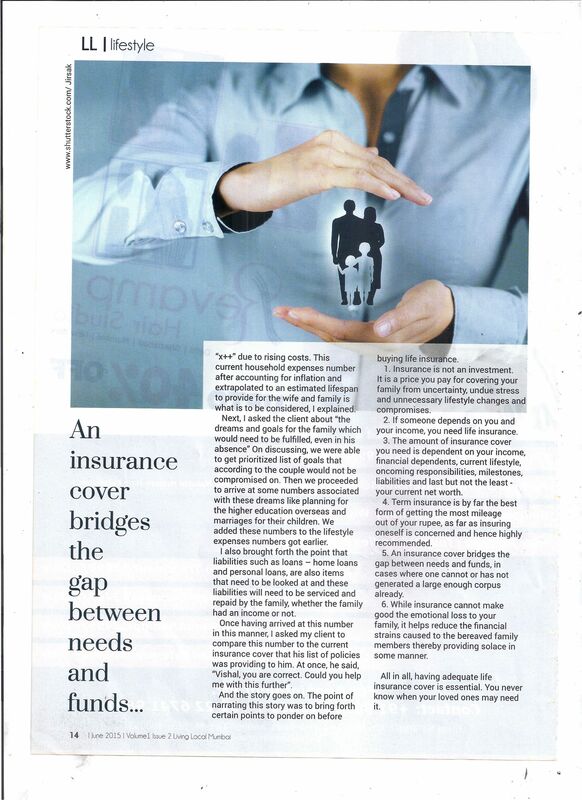 One area where almost all of us have a host of queries is Insurance. Insurance plans whether traditional plans or ULIPs have many details that one needs to understand. We, at Plan Ahead are always looking at ways of helping clients with their queries. As we say at Plan Ahead, it’s always good to be informed. The IRDA (Insurance Regulatory& Development Authority, India) has launched a consumer education initiative. 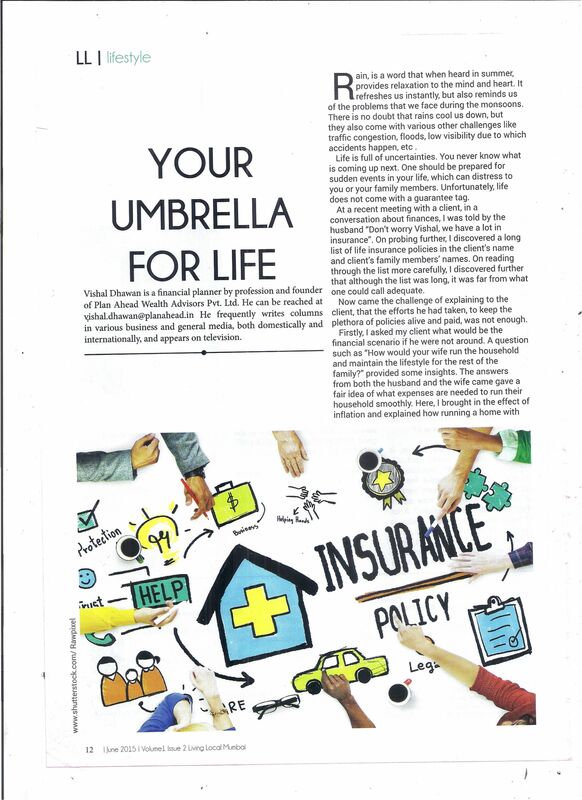 As a part of this initiative I came across a Life Insurance handbook, which is a handy guide for all your insurance queries. So wanted to share this Life Insurance handbook with all. Hope you find it useful.